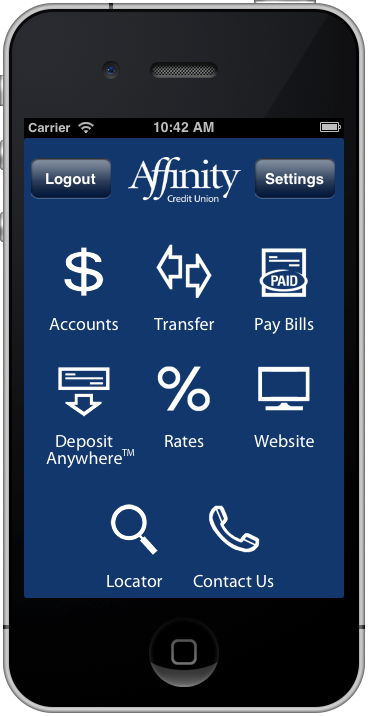 This app was originally built as a simple ATM/Branch locator with a link to their mobile website to perform banking functionality, but Affinity had larger ambitions. In 2013, we moved forward with providing them a full-fledged native banking application, allowing users to pay bills online, check balances, and view transaction history. Last year, we added Remote Deposit Capture or, as it is commonly known, Deposit Anywhere, which allows users to deposit a cheque by taking a picture of it on their smartphone. Affinity was one of the first institutions in Canada to provide this technology to its customers, well before any of the larger banks in Canada, and we are proud to have developed it for them. Below, you can watch the video from CBC National, where Affinity first announced the Deposit Anywhere feature. Like the Affinity Credit Union App, this app started small but has grown over time, adding a wide variety of features for this diverse organization. The coupons feature is heavily used by Coop customers across Western Canada and we are proud to say that some of the coupons you find in the app are better than what you will find in the printed flyer. It is certainly worth checking out, both as an existing Co-op member, or a potential one. iUsask was the project which started it all in the University space, gaining nationwide recognition when it launched. Carleton University approached us to provide a similar app, and over time, it gained a diverse and growing list of features, including student account information, campus card balance, fees owing, grades, and more. It has matured into a great app for students attending one of Canada’s premiere Universities. 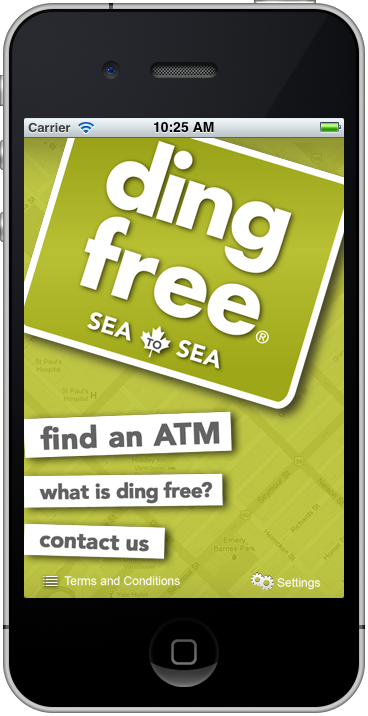 Ding Free is an app that has a user base stretching all across Canada and was part of a nationwide advertising campaign. The purpose of the app is to save people money by avoiding ATM fees (finding ATMs that are free for them). While this may seem like a small win, they all add up in making people’s lives better, which is one of our central tenants in running our business. RxFiles is unlike any of the other apps on this list. It is made for specialists and you have to be a practitioner to even use the app in the first place. It contains very specific, potentially life-saving, information about drug interactions for people such as doctors or pharmacists to use as a reference. 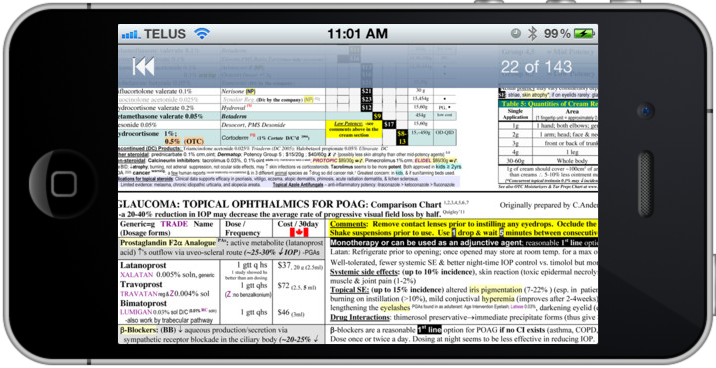 This app has remained one of the top grossing Medical Apps on Apple’s App store for years. This is a testament to the product RxFiles provides to its loyal followers across the world in the medical community. In our goal of improving quality of life through quality technology, this app started as a donation to the Saskatoon Health Region. When you are in the waiting room at the hospital and nervous about your loved one, some helpful information on what to expect can go a long way. We worked with the Saskatoon Health Region to put together a multiple resource of information into one app that could be given to loved ones and patients to make their care in the health region a little bit easier. Again, we see that small steps can have a bit impact on quality of life. ARMS is an app that can literally save people’s lives. When used, the app starts a countdown and begins monitoring the user, including sending their GPS location up to the monitoring server. At the end of the countdown, the user will be alerted to “check in” to the app. When the user does this, everything is fine, and the countdown restarts. If the user does not check in, an escalating set of emergency procedures is triggered. This includes calling the user, calling the users supervisor, and ultimately calling 911 if none of those checks yielded an “Everything is OK” status. It is extremely beneficial to remote workers, who may be out working alone, and can’t signal distress if an emergency situation arises. This app was particularly interesting because of the need to be extremely accurate with GPS but while not draining battery life. If 911 is signaled, they want to know an exact location to go to. But the app is not helpful if it drains your battery too hard, and shuts down your phone. There are also many edge cases that needed to be worked around, as users in remote areas may have spotty or non-existent cell or Wi-Fi coverage, or extremely slow connections. The app needs to work 100% in all these situations, to ensure we give any users in distress the best possible chance at being located and rescued. That is all the apps for today, but it is only a subset of all the amazing apps we have developed, let alone the ones currently in development. In the near future we will post about some of the more recent apps we have released as some of those are quite compelling as well.